As a business owner, you have much on your mind. The last thing you want to worry about is lost data or a faulty website. For your enterprise to succeed you need a high functioning, reliable site that adds credibility and professionalism to your company. Choosing just any web hosting company can lead to missing files or slow servers. Only a provider committed to quality and keeping your data secure can deliver the kind of service your business and website need. 4GoodHosting offers safeguarding protection that no other web hosting company in Canada provides. Entrust your website to us and you'll get your data protected on both sides of the country. In the unlikely event of a disaster, your data always remains secure. We provide automated backups daily on both Canadian Coasts so your website receives the highest standard of protection. Of all the Canadian web hosting companies, we are the only one to provide this level of security. Plus we offer a 30-day, full money back guarantee, ensuring your satisfaction at absolutely no risk to you. We sync our disaster recovery servers to function every 6 hours. In the event of a major hardware failure, another web hosting company might take days to restore your website. As a result, your business takes a hit and you lose potential customers. Not with 4GoodHosting. We'll have your site back online in a matter of hours. You never have to worry about losing your online presence for days on end. And if ever you should accidentally delete any of your files, we'll come to the rescue. We store your backups for 30 days, guaranteed. You never have to worry about the permanent loss of your data. Faster and Maximum Up-Time. Our data center use a "FastFiber" network designed to deliver optimal operation time. High Throughput and Packet Per Second Capability. Backbone communication services work to meet the intense needs of your business. Multi-Layer Network Security. Our fully redundant network guarantees the highest security with no single point of failure. Virus Protection. We provide Virus and Malware Email and website scanning, protecting your site from any destructive bugs. Receive Zero Spam Emails Daily. No Kidding! Secure your website with 4GoodHosting and you'll get enterprise level spam protection. Choose our advanced filtering option and you'll receive absolutely NO SPAM in your inbox each day. Few other Canadian web hosting companies offer this valuable feature. Imagine not having an inbox flooded with ads on a daily basis. Important emails won't get lost and will receive the attention they deserve. You'll have more time to dedicate to your website and your business. Our friendly customer support is available via live chat, email or telephone 24 hours a day, 7 days a week, 365 days a year. Our superlative team helps make us one of the best Canadian web hosting companies around. No matter how big or small your concern, we have your back. Guaranteed. Get Online Faster. We activate your account immediately after first payment. We Transfer All Your Data At No Cost to You. Choose our annual hosting plan and receive free full website and data transfer service. Verifiable A+, BBB Rating. 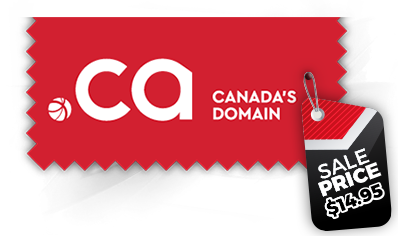 We've provided Canada and the rest of the world the highest quality web hosting service for over 10 years. As business owners, we realize that your time is precious. That's why 4GoodHosting provides a number of up to date modern tools to make building your web presence fast and easy. Manage Tasks Easily and Quickly. Get full cPanel features like Domain & DNS Manager, DNS Management, Web File Manager, Statistics, Logs, multiple FTP accounts. All work with a web interface and not a console, allowing you to control all aspects of your account. 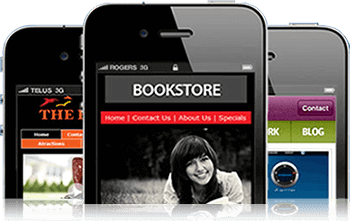 Add Sophisticated Functionality to Your Website. We offer 300+ Free 1-click install website applications like Wordpress, Drupal and Joomla. Build Mobile Optimal Sites. Choose our powerful yet simple small screen size website builder. Full domain support. You have the option to register as well as transfer domains. We also provide international domains, add-ons, sub, parked, and a-records. Free domain. For all business and advanced accounts. Choose from Various Payment Options. We offer PayPal and PCI Merchant Compatible OS Commerce Cart and ZenCart Shopping Cart. Optional Dedicated IP Addresses Available. For SSL and Ecommerce sites. 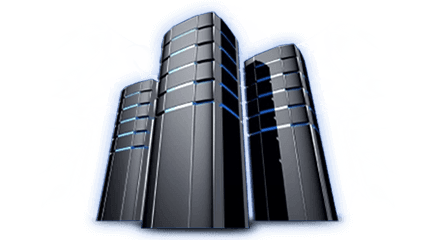 A Virtual Private Server (VPS) remains the best option for small to medium websites and database applications. 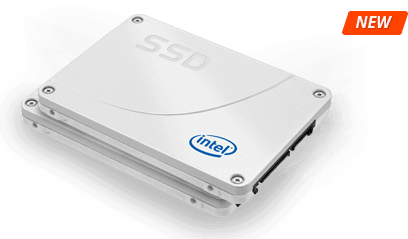 Guaranteed RAM for reliable performance, you can scale your VPS as needed without ever having to change hardware. 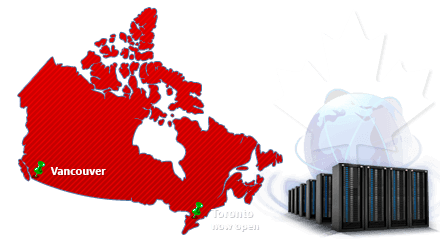 Check our selection ofCanadian VPS server packages. We also offer a special free hosting package for Canadian Charities. Questions? Don't hesitate to contact us today. Our friendly customer support team will be happy to address any of your concerns. Sign up today at absolutely no risk to you. We are so confident that you'll be impressed with our services that we offer a 30 day money back Guarantee. If, for any reason, you feel 4GoodHosting is not right for you, just notify one of our helpful support representatives. We'll happily refund all your money. No questions asked. Just one more way we strive to be Canada's leading web hosting & VPS provider.